A delightful and information-packed episode from Hannah and Lucia this week! 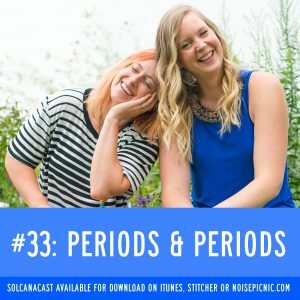 Learn what the correlation between athletic ability and our monthly menstrual cycles means, how it influences a person’s body and what some primary nutrition steps are to begin to regulate the system if PMS is affecting you. Have ou tweeted us yet… @solcanapodcast ?! Why not?